I am just back from vacation and I’m ready to blog! My husband, Hugh and I have vacationed at the same resort several times and one of the things we enjoy is having a drink at the Piano Bar after dinner. In a light conversation when I mentioned The Grandma Chronicles the piano player said that I had to meet Grandma Joyce who had written a book to help children understand Alzheimer’s Disease. Later – at 3 a.m. - he emailed me the url for Grandma Joyce’s website. I did a little research and realized that Joyce Simard is an internationally renowned Alzheimer’s expert. I sent her an email hoping we could meet while I was there on vacation and she responded that she was in Hawaii giving presentations on Alzheimer’s and would be home on the last night of our vacation. We met at the Piano Bar and with both of our husbands began a wonderful new friendship. Tom, the piano player was pleased. 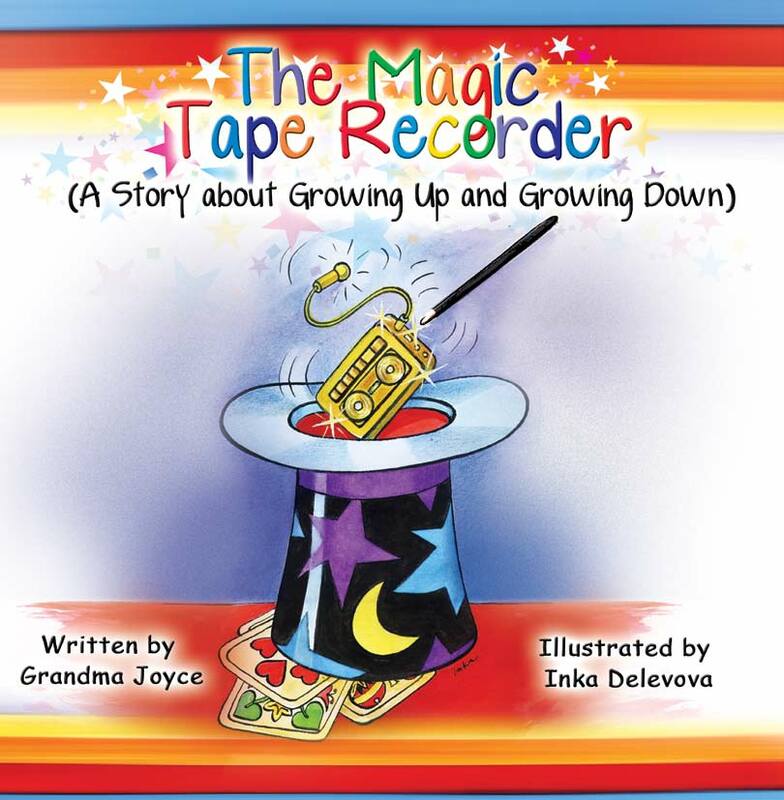 Grandma Joyce brought me two signed copies of her book, The Magic Tape Recorder and I am giving one away. The details of the giveaway are at the end of this post – so stay with me. 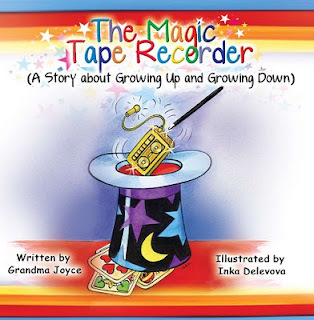 The Magic Tape Recorder is a beautifully illustrated book which will help a child understand any older person in their life – a grandparent, great grandparent, aunt, uncle, neighbor or friend. It begins by chronicling (I could not resist using this word) the types of things we can do when we grow up and then the changes that can happen when you begin to “grow down” – needing glasses and a cane, poor hearing and how you might help to make it easier. The book then moves on to discuss Alzheimer’s and the loss of memory. Joyce describes memory as a “magic tape recorder in your head” and how it is almost turned off when you have Alzheimer’s. 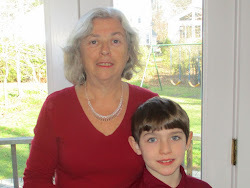 She discusses how a child can still enjoy the company of a grandparent and how you might help them by saying your name and reminding them about other things. Most of all, you can still have fun with them even if they don’t remember everything. My mother’s long time friend and second husband was blind. This book reminded me so much of how even when my children were very young we encouraged them to show Michael their toys and explain things so that he could enjoy them too. They were always proud of themselves when they could see he understood how things worked when they showed them to him and helped him touch whatever they were talking about. I believe this was a very enriching experience for my children – to be comfortable with someone with a disability and be helpful and respectful at the same time. Children take great pride in their accomplishments and this book will guide a child in how they can help an older person have a more enjoyable visit with them – and they will feel good about it too. Joyce’s book really struck me as a must have book for children who know older people with Alzheimer’s. It both colorfully and eloquently explains a difficult to understand situation and can equip children with ideas for working with it. You can purchase this book at Grandma Joyce’s website or at Amazon.com. See the direct link below for Amazon. All you have to do to enter to win is leave a comment on this blog. Post your email address or if you prefer, send me your email address and let me know the name you posted as. If you post anonymously I have no way of knowing who you are so make sure you check back on May 13th to see the announcement of the winner. My email address is: marionconway@aol.com. You will get an additional entry if you tweet on Twitter about this giveaway and then leave a comment on the blog letting me know the Twitter link for the tweet. I will contact you via email if you win to get your mailing address. Your address information will not be publicly posted. Random.org will be used to select the winner randomly. Good Luck and please participate. The deadline to enter to win a copy of The Magic Tape Recorder is May 12th - so enter today! Remember this is an autographed copy! Thank you Grandma Joyce for writing this book and sharing it with us. Thank you Tom for connecting us. I have not received compensation for this review. Any product review I do on this blog is an honest evaluation of my personal opinion. I do not review products favorably for compensation. what am I supposed to be learning from this experience. Remember people who have not dealt with a loved one with this disease will not understand your situation. Thank you so much for your thoughtful, helpful comments on this post. You are the winner of a copy of The Magic Tape Recorder. Please email me rpivately with you mailing address and I will send the book.